The Subaru Impreza is a compact family car range that was introduced into the market in 1992. Currently on its fifth generation, the range was released as a replacement for the Subaru Leone. A major contender in its class that rivals those situated at the forefront, since the late 1990s the Japanese manufacturer has issued all further vehicles produced to be all wheel drive models, making the range further stand out in its class. This is a durable range that offers tough, no nonsense styling and a spacious interior with enough space for a large family. 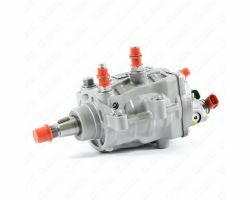 Available with a selection of petrol and diesel engines, these all come with their own different power outputs. The 2.0 litre diesel engine excels in delivering a reliable drive, thanks to its strong levels of performance. Altogether, the Subaru Impreza is a powerful range that offers a spacious interior, tough styling and strong diesel engines.